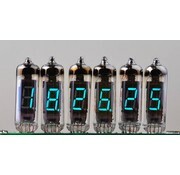 Nixie IV-6 (ИВ-6) VFD Tube, Post USSR, Vintage - HTF Electronics, We Help Create Your Imagination! 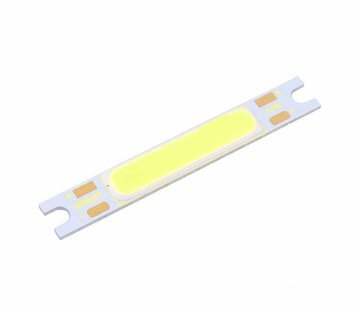 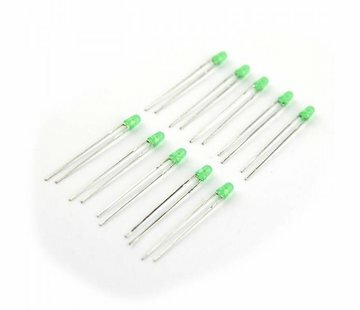 IV-6 (ИВ-6) – 7 segment display luminescent green color glow. 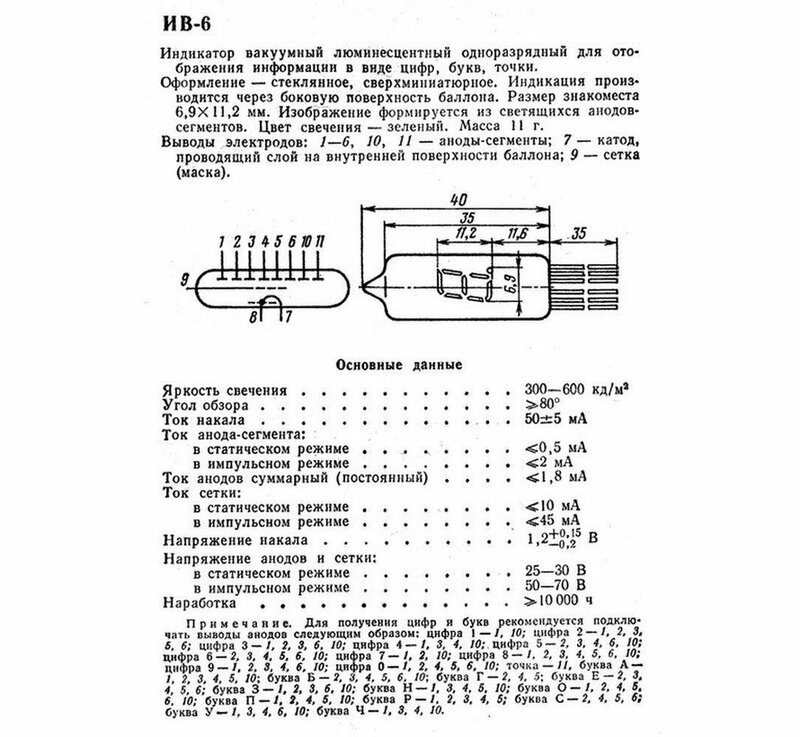 Indicator IV-6 is VFD tube, in a glass flask with a soft leads. 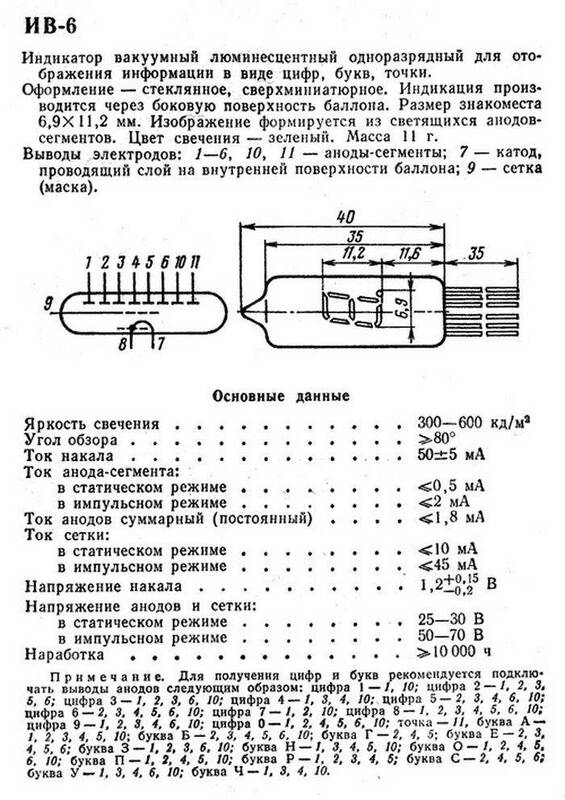 Anodes device in the form of 7 segments and a decimal dot to the right. 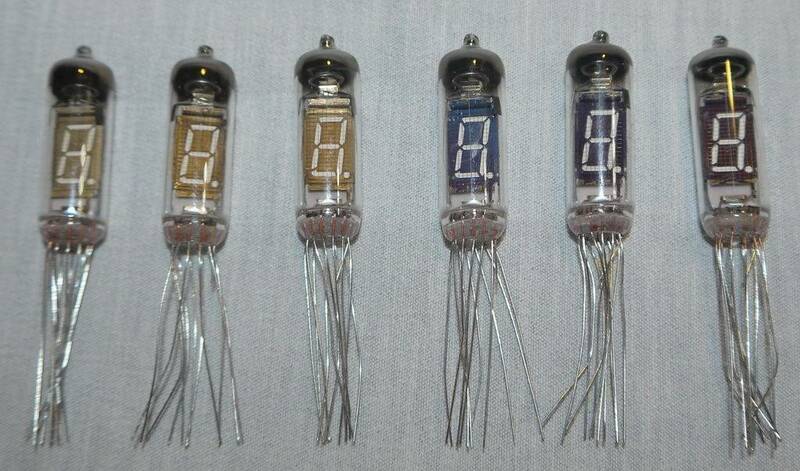 Russian/Soviet (USSR) Nixie tubes IV-6. 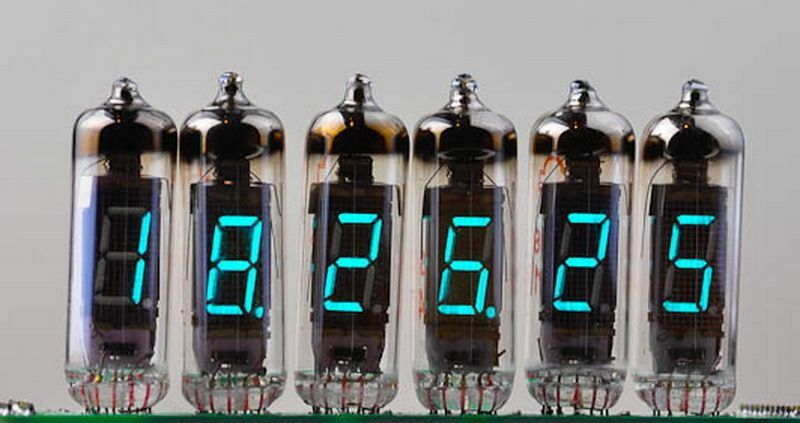 IV-6 tubes display numbers from 0 to 9 (7 segment). 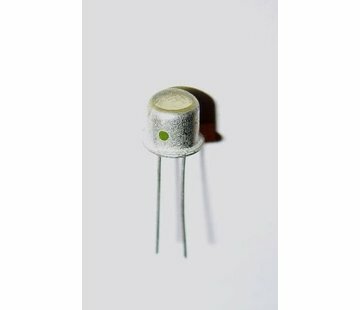 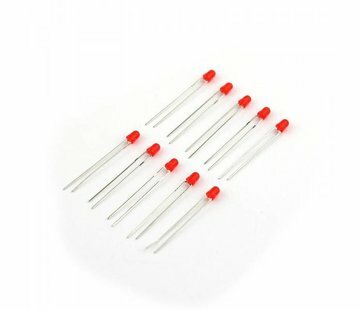 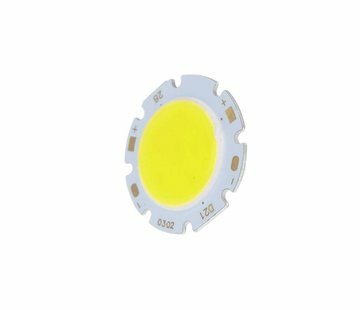 Supply Voltage 9-12V. 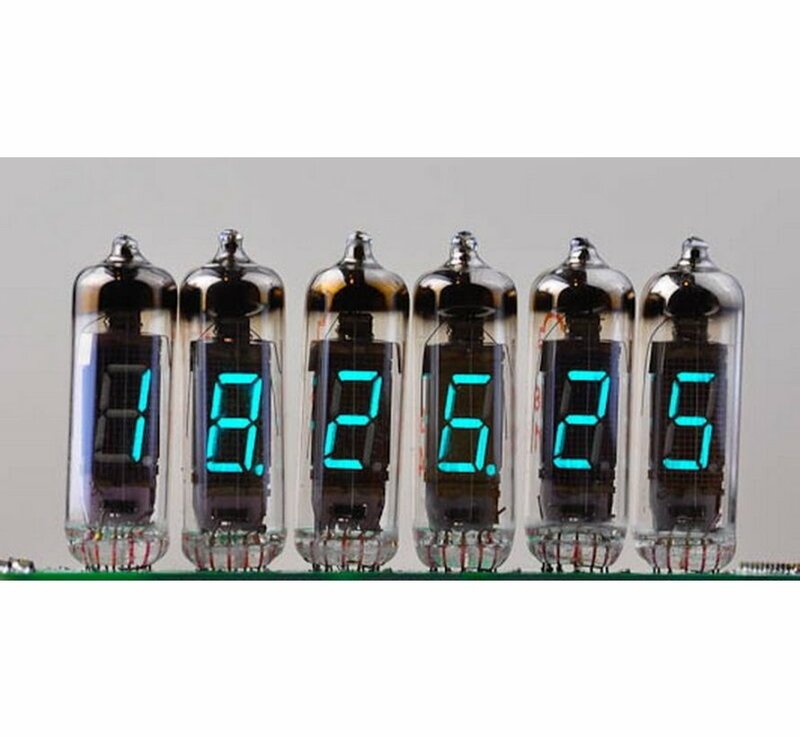 Tube are new (old stock) and never used. 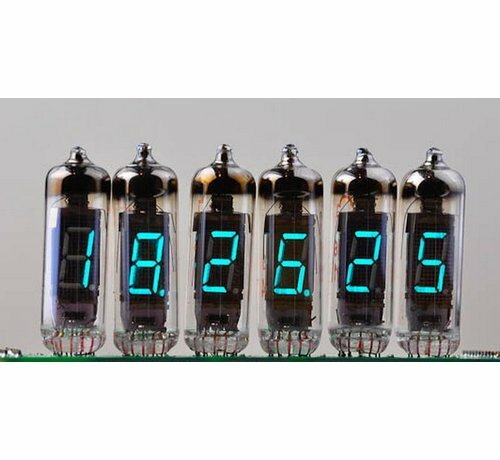 Tube size: ~10mm x ~50mm. 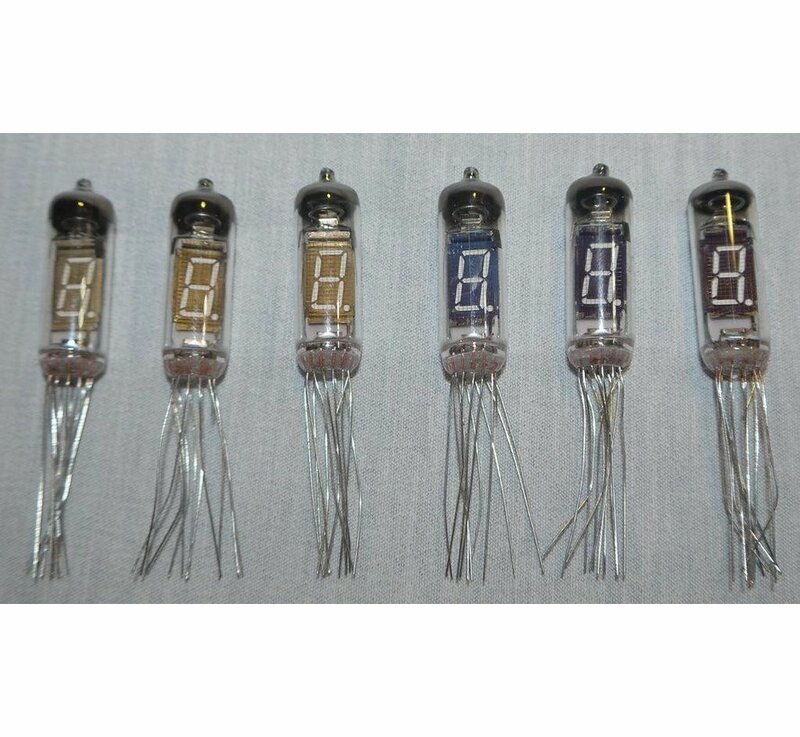 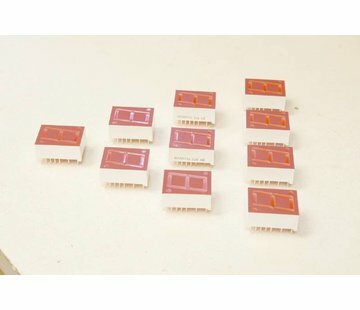 7 Segment Display Red 0.8"